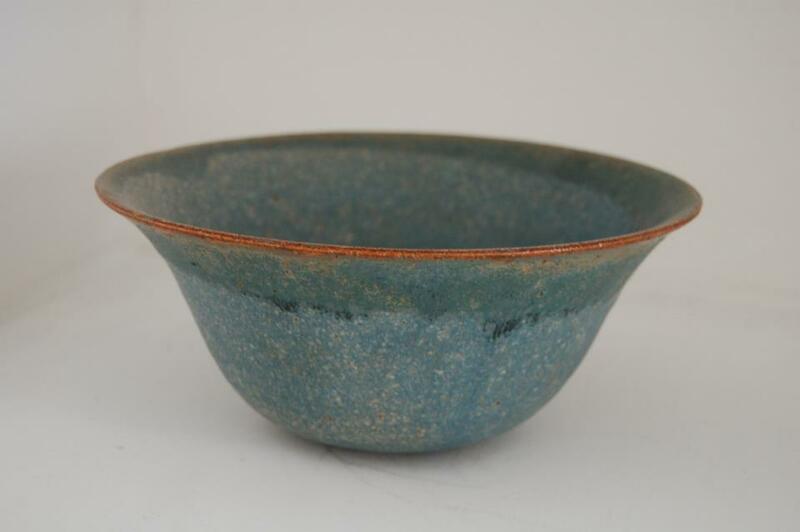 This bowl was made during my first year at Plymouth College of Art & Design. It was while I was very new to throwing, it is however a pleasing shape. I went on to produce mainly domestic ware. I have always liked making the occasional piece just for the pleasure of the making process. I am moving now toward experimenting with glaze surfaces and colours. Domestic ware will always play a large part in what I do, but now it’s time to enjoy just making. To spend time on the glazing process as something other than just a functional thing. Its too easy to get caught up in the technicalities of producing a perfect glaze with no crazing, thats food, oven and dishwasher safe. All important things for domestic ware, but it can be a distraction from the creative side of ceramics. So it’s time for me to get that creative side back and start producing work that’s more decorative.